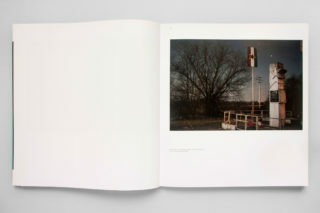 “Mi gradimo prugu, pruga gradi nas” (We build the railroad, the railroad builds us). 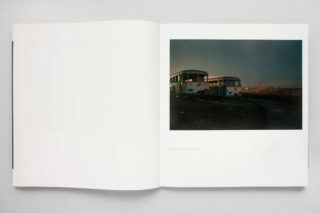 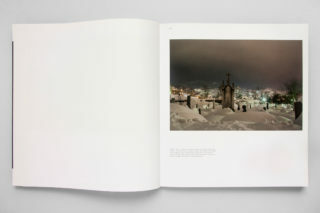 At the start of 2015 we were contacted by Lara Ciarabellini, an Italian photographer based in Rio de Janeiro, to design a photobook about contemporary Bosnia and Herzegovina 20 years after the conflict. 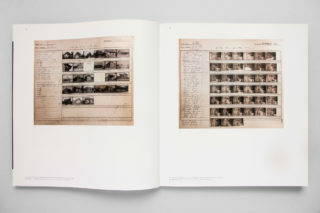 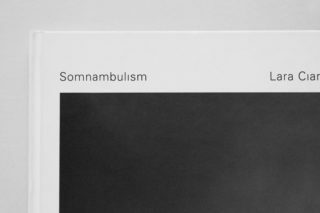 Somnambulism combines Lara’s extensive body of photographic work with poems and essays by several other contributors. 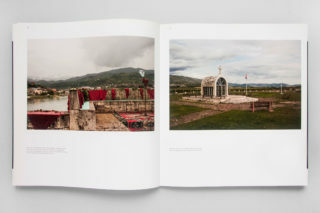 The work investigates the significant role that old and new buildings, memorials, and culture play in constituting collective memory. 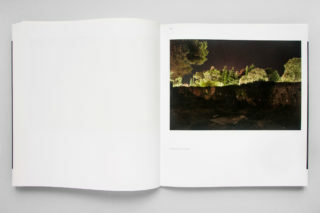 It assumes the role of a sleepwalker metaphorically wandering through the nation’s history in an attempt to analyze the important function religious monuments, the urban environment and landscape serve in maintaining a common national identity. 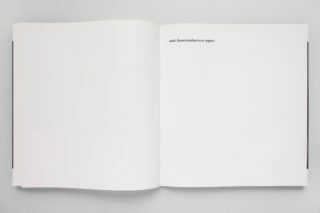 The country suffers from a collective amnesia. 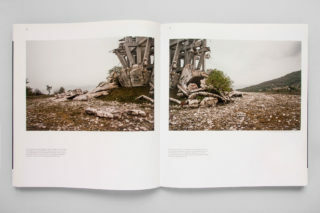 It’s symptoms are manifest in the dramatic war, the obliteration of the past, and indistinct memories of the once peaceful and longstanding coexistence of different communities within the region. 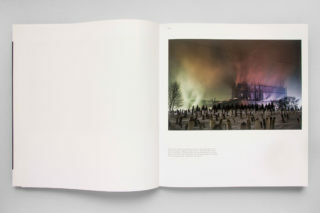 This is undermined by the past ethnic cleansing, in which buildings and other sites become powerful cultural symbols to be defended at all costs. 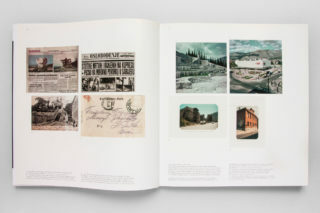 “Mi gradimo prugu, pruga gradi nas” was the motto of Omladiske Radne Akcije (Youth Work Action), a group comprising of thousands of enthusiastic volunteers who in 1947 took part in the construction of the railway line connecting Sarajevo to the Zagreb–Belgrade railroad. 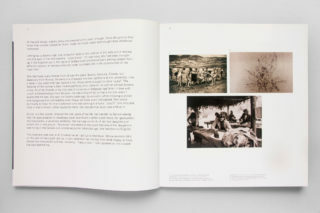 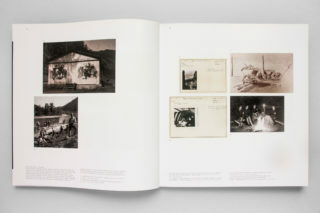 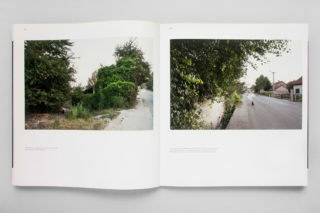 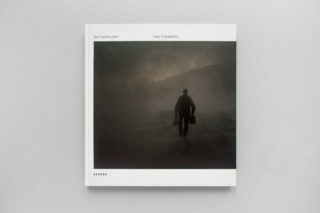 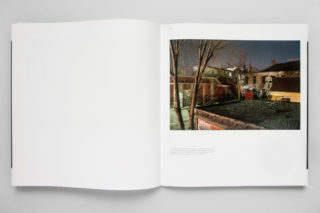 The book’s cover features a photo of a worker on the highway between Sarajevo and Samac, part of the new 5c Corridor. 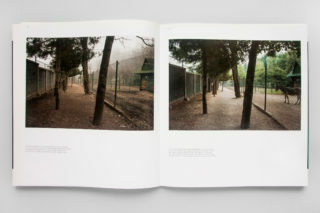 This image leads us immediately to the theme of the book: namely a process of wandering between past and present. 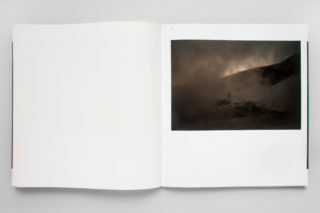 Indeed it was precisely this image that inspired Lara when choosing a title for her project. 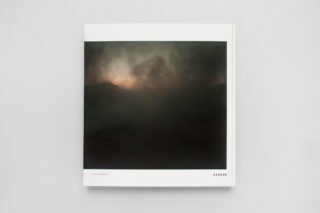 However, although the image is highly appropriate, it is somewhat dark for a cover. Consequently we opted to incorporate a large expanse of white into the design. 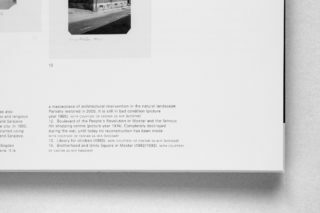 This was intended to function as a “breathing space” for the photo. 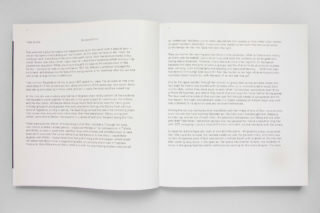 Nonetheless, we decided to position the image so that it bleeds on the right hand side, inviting the reader into the narrative. 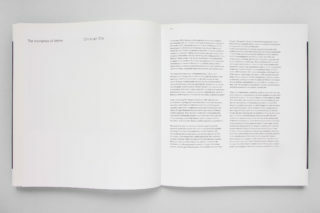 We used a grotesque font, verging on light weight, from which we removed the dot of the letter “i” in order to create a sensation of disorientation and uncertainty. 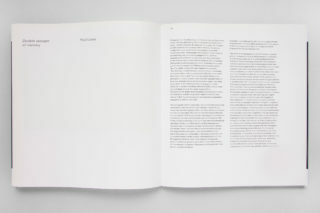 This impression of vague fogginess was further accentuated by the use of widely spaced type. 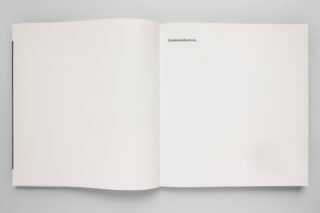 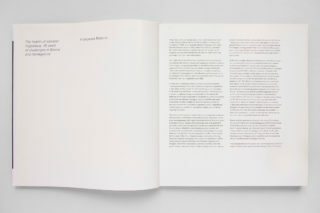 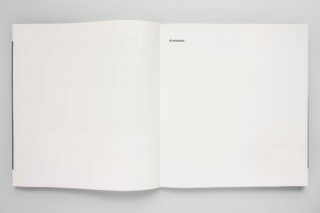 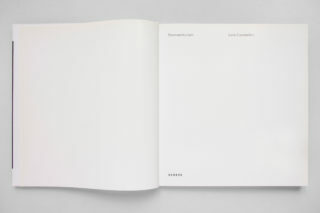 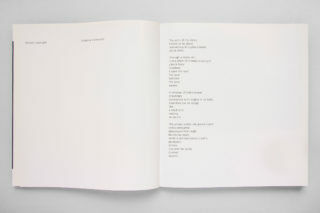 We also incorporated a considerable number of white pages into the design, offering room for pause and reflection. 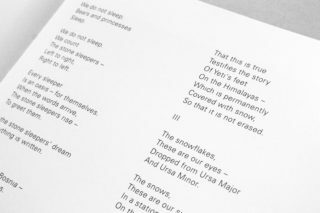 Finally, in order to create a sense of rhythm, we established a typographical hierarchy: small typography for essays, larger for the poems. 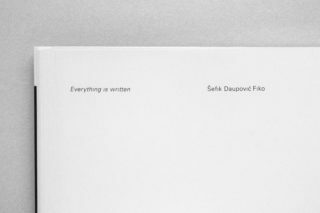 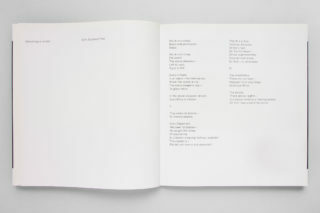 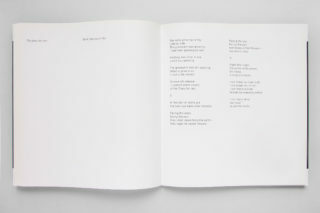 Texts and poems by Šefik Daupović Fiko, Christian Elia, Edin Forto, Andjelka Klemenčić, Paul Lowe, Samanta Milio, Tomo Novosel, Dino Pora Porović, Francesca Rolandi. 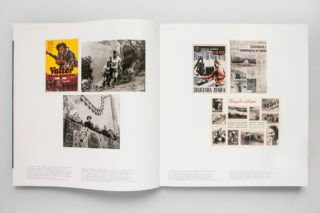 We would like to thank both Lara and René Henoch of Kehrer Verlag for the three days of excellent work in Heidelberg and, above all, for sharing their life experiences with us: Sarajewouuu!